Inner Brisbane Apartment Report, which revealed that the market has undergone a significant transformation over the past six months. It revealed that Inner Brisbane’s off the plan apartment market recorded 542 unconditional transactions over the September 2016 quarter, totalling almost $335 million worth of apartment sales. Prices in the September 2016 quarter were found to be 5% higher than those of the June 2016 quarter, with a weighted average sale price of $617,297. The increase was said by the report to be a result of changes in the product mix across the market. The Mews, located in Woolloongabba, was the top performer for the quarter, recording 110 unconditional transactions while other strong performers included Chester Apartments in Newstead and Gallery House in Hamilton, recording 67 and 55 unconditional transactions respectively. Kokoda Property Sales and Marketing Director Sam Tucker said Brisbane’s market is maturing, so it’s no surprise that high end, quality focussed and ideally located projects like Chester are performing strongly. “Chester doesn’t have any competitors in the market that are offering the same top-end amenity at a comparable price per square metre. This scarcity is driving its value and buyers are just falling in love with the product," he said. Pellicano Development Manager Michael Kent said The Mews was fast-tracked because of strong market demand, and this interest hasn’t slowed. "We believe that quality projects will override any market fluctuations and demand for projects with quality design, fantastic lifestyle amenity, and in a great location will endure," he said. From the South of the Brisbane River, 52% of Inner Brisbane’s off the plan apartment sales took place for the period, making it the strongest selling precinct during the September 2016 quarter. Over the water, the North of the River off the plan apartment market recorded a decline in sales since the June 2016 quarter, with 27 actively selling projects and 212 unconditional apartment sales. 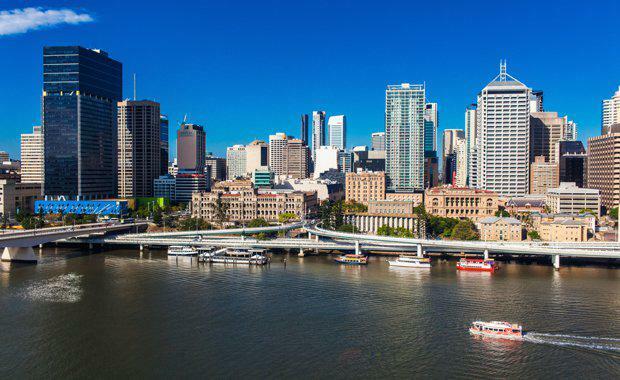 The Brisbane CBD recorded 48 unconditional transactions across four separate projects, totalling almost $30 million worth of apartment sales. According to the report, two bedroom apartments accounted for %57 of unconditional transactions for the period, followed by one bedroom apartments, accounting for 37% of transactions. Three bedroom apartment sales represented just 4% of transactions, and the remaining 2% of total sales went to sub-penthouse and penthouse apartments. As apartment supply stabilises, demand for well appointed and well located apartments with a high level of amenity will strengthen. As a result Place Advisory said they expect to see two different apartment markets begin to materialiseThe two markets expected to materialise will represent higher end owner occupier apartments and the wider market, creating a different style of purchaser and end user.